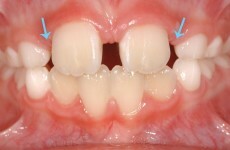 This child does not have enough room for the permanent lateral incisors to erupt (blue arrows indicate lack of space). 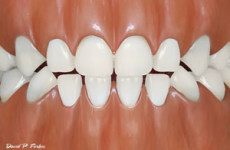 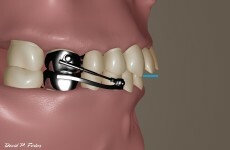 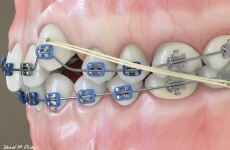 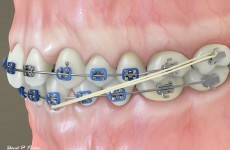 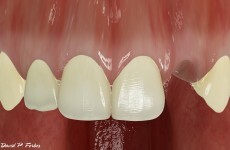 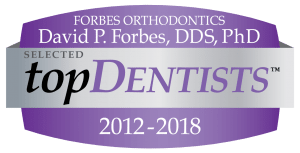 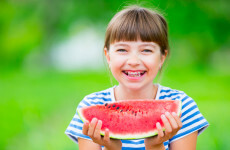 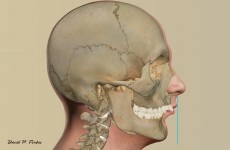 An illustration of a tooth that is not aligned and the effect of elastics and a light wire. 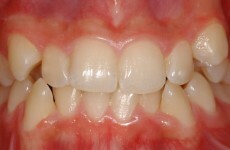 A photograph of a young lady with crowding of the upper and lower teeth showing teeth erupting off the bony ridge of the arch. 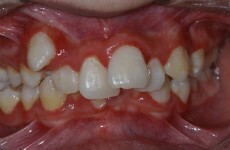 A photograph of a young lady with crowding of the upper and lower teeth showing teeth erupting off the bony ridge of the arch.